We’ve just been looking at buildings in Ordnance Lane, and before we leave there I should mention this ‘ghost sign’ — an old faded painted sign on the brickwork on the corner where Ordnance Lane meets Fulford Road. I thought we’d covered most of the ghost signs in previous pages, but I missed this one. It’s a rather handsome green, and still visible is the name ‘A H Davies’ and ‘Wills’s’. Wills’s made cigarettes. 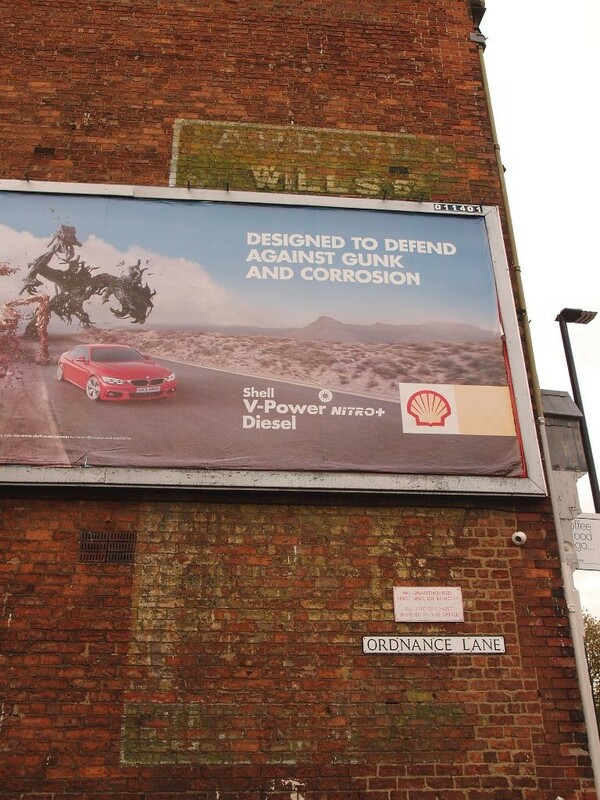 Perhaps behind the more modern billboard added since more of the old advert is preserved, brighter green. It was a huge painted ad, and a closer look suggests it was repainted more than once, as there’s a shadow of a former ‘W’ rather obvious. It’s now just one of four signs on this prominent end wall, at the end of Ordnance Lane. 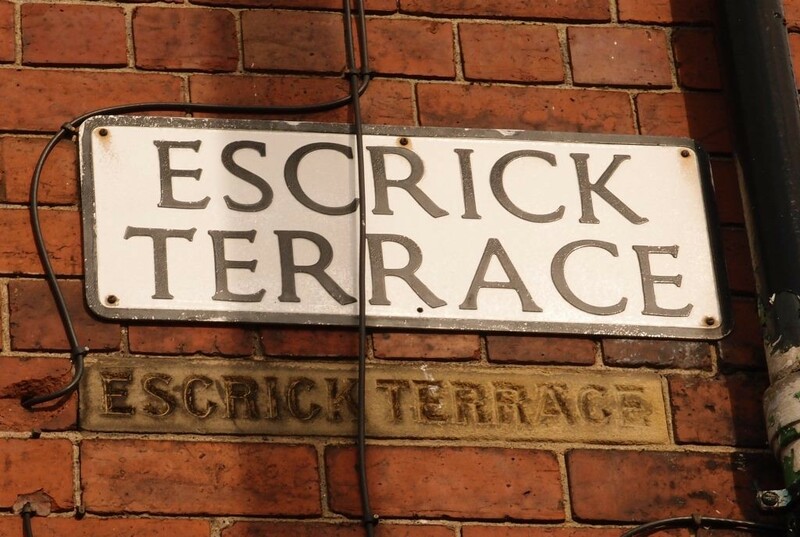 Escrick Terrace: so good they named it twice. 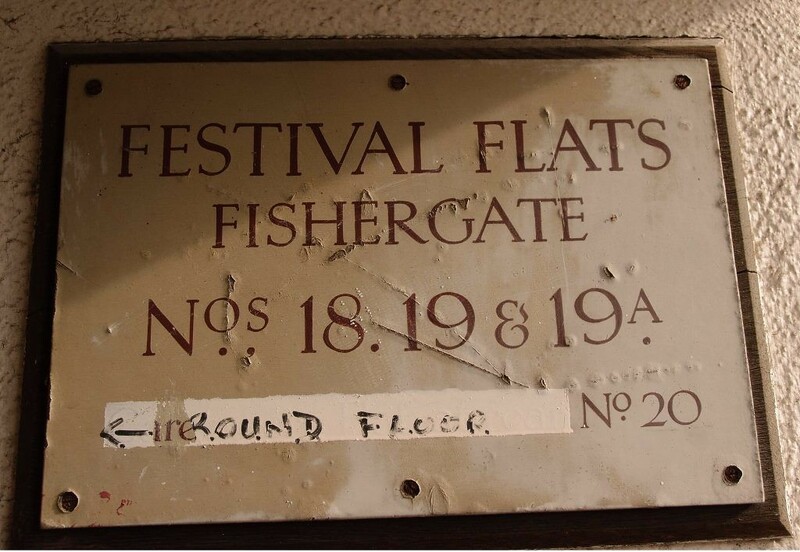 Some of its carefully created lettering has since been obscured by a patch of paint and a note added in marker pen, but perhaps this casual addition makes us appreciate the earlier elegant lettering even more. 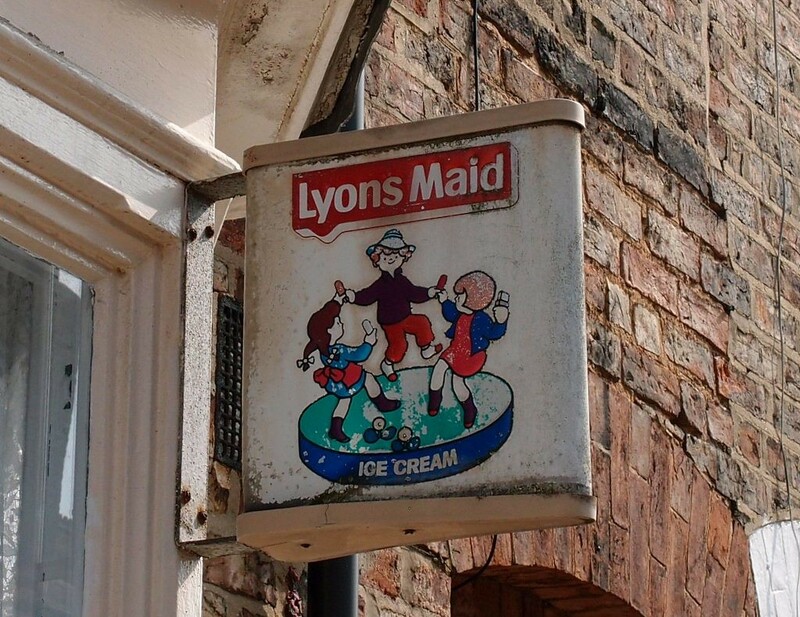 On Milton Street, one of the streets of terraced houses, this plastic sign still sticking out from the wall of what looks like an ordinary house the same as all the others, with a bay window rather than a shop window, but it clearly was a shop at one time and it sold Lyons Maid ice cream. The sign is double-sided, and still bright on one side. 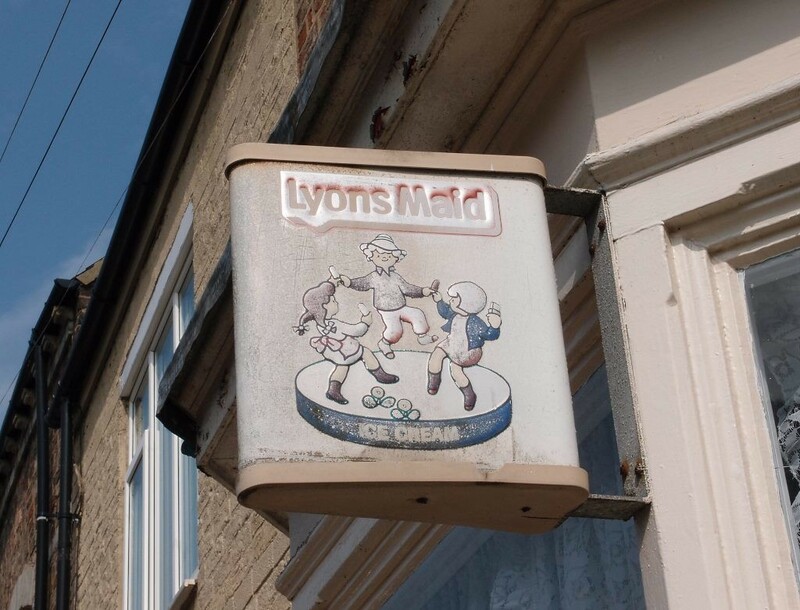 On its sunny side, the other side, its colours are pale and bleached out by all those years of sunny summer days when we rushed down to the local shop or the ice cream van for ice lollies. Whether or not it’s hot enough for ice lollies, I hope everyone’s enjoying the Bank Holiday weekend. ‘Signage Sunday’ may become a regular addition to the site, or not. Comments welcome, as always, below. I know the shop very well that this sign was on I lived in the next street to Milton street Nicholas street and as soon as me and my brothers and sister had a few pennies we would go to the little shop in Milton street it used to sell a bit of everything a bit like open all hours really we used to spend ages deciding what we would spend our precious money on you seemed to get a lot more for your money then even my dad used to use the shop on a Sunday he used to buy a couple of bottles of pale ale and a bottle of lemonade and we were allowed a small glass of shandy with our Sunday lunch as a special treat when my grandparents were having lunch with us. The shop was still there when I had my own children in the 1980s as I used to buy nappies when I was home visiting my parents and I always bought a quarter of cough candy for my dad and a frys chocolate bar for my mum so I have happy memories of that little shop with the sign thank you for reminding me.